Part of your restaurant’s overall appeal is the look of your menu. It’s a great way to make a good first impression. It promotes your brand as well as the level of service your establishment provides to its patrons. Menus have always been one of the most effective marketing tools for any restaurant or cafe. They have the ability to influence a customer’s decision on one of life’s most debated questions – where should we eat? Here are 7 things to consider when looking to improve your menu. If a hungry customer wants to dine at your place, they do not want to be handed a huge brochure with lots of pages and long text. Instead of appetising, it can be confusing. Design your menu so that your bestsellers or specialties stand out. The ideal menu consists of one or two pages, although restaurant brochures can be a little bit longer. 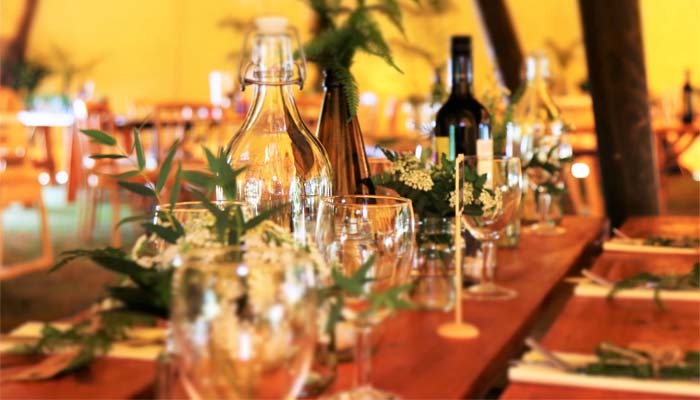 If you provide a catering service, then it is totally acceptable to present customers with a full-sized brochure that includes everything that you have to offer. What is your restaurant’s target demographic? As with any business, it’s important to define your target market and then create your menu based on your chosen demographic. Do you want to target millennials? You may want to include a Wi-Fi password on the first page. Over and above the design, the content in your menu matters. Understanding your demographic will allow you to cater to their preferences, which will then affect the content of your brochure. A family restaurant brochure could include a colourful page for the kids, filled with pictures of food that kids love to eat when they’re out with their family. You can adjust the wording accordingly as well so that the little ones can clearly understand what you have to offer. They might not understand what “sautéed” means, so it may be better to use “fried” instead. 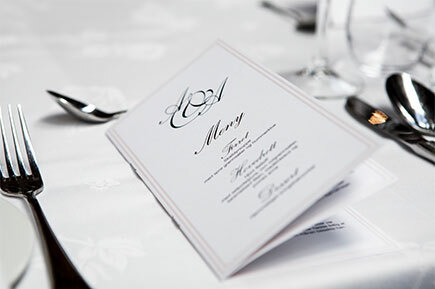 If your goal is to exude an exclusive and elite vibe, make sure your menus look and feel is first class. The location or placement of everything on your menu must be purposeful. If you are not confident in your graphic design abilities, it would be wise to hire a professional graphic artist to design your menu for you. To avoid any confusion your menu must stay true to your restaurant’s model. 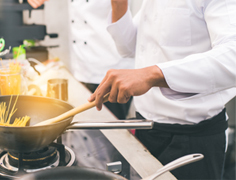 Make sure you’re fully acquainted with your restaurant’s overall concept, like personal tastes, a local ingredient, a unique experience, anything. Make sure your menu reflects this – from its design, to the text itself. Call attention to your bestsellers or your limited-time special. Make these so easy to see, that your patrons won’t miss them. Why not dedicate one page to your current promo, your bestsellers, and add some mouth-watering images of the dishes to drive them home. However, avoid promoting too many dishes. If everything on your menu is special, then nothing is special. Again, if you’re not very confident with your creativity and writing skills, you can always hire someone to do it for you. Just remember, the goal is to make your customers feel hungry even if they’re not and terms like these can help get their taste buds going. If your special is an incredibly good deal with so much value in it for so little cash, then make the price (as well as what they are saving) stand out from the page. For the more expensive dishes on your menu why not try nested pricing? This is a when the price is listed at the end of the dish’s description using the same size font. These things are all part of what makes your restaurant stand out from your competitors. Need a laundry service? 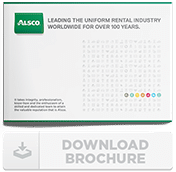 What about Restaurant linen and uniform rental? Or a comprehensive solution for your washroom? We’ve got it all! 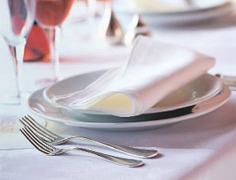 Crisp, clean and elegant napkins and tablecloths. Find the perfect style for you. We supply a quality range of chef jackets, chef pants and aprons, which can all be customised with your logo. 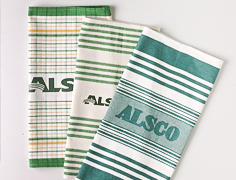 Highly absorbent, clean and bacteria-free tea towels, essential for any restaurant or café. So contact us today, we’re here to help!